"I suppose it was coming from Guttmann, but it was just the thing, we had to do something, it was in our programme. I expect some people hated it, but we all had to have a go at something.... But archery was the one that I really enjoyed." 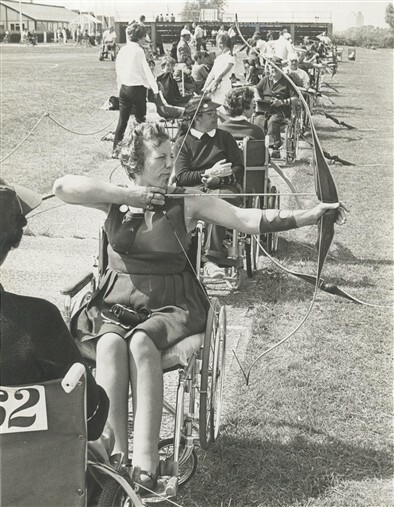 "At Stoke Mandeville one part of the OT was archery; it had taken place in the main hall; it. You had to attend there as well as part of your task. I think it was also to help to build up your arms pulling the string back. 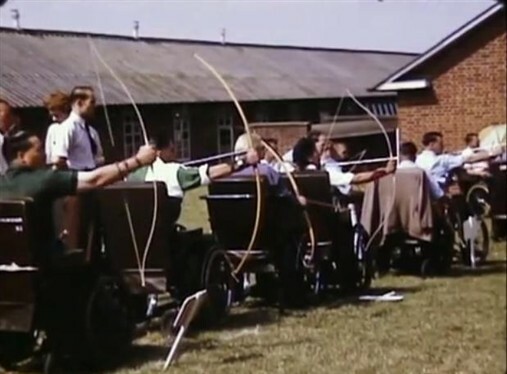 But it also got me interested in archery and when I got home I joined a disabled club and did archery there, and travelled all over the country to different disabled clubs, and became friends with people all over the country, so the archery was a big help to me. It gave me a new lease of life when I left hospital. I used to go down the local Miners’ Welfare Social Club; then I helped set up the Wansbeck District Disabled Sports Club at Newbiggin by the Sea. We used to run our own disabled games there. 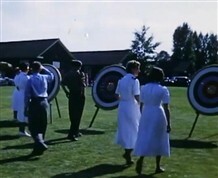 Each summer we would take over the school across the road. People would come from all over; we would beds in some of the classrooms. And on the Friday night of the games in the big hall we would a long table right down the centre of the room and have home-cooked stuff for tea; this was in the 1970s and 1980s." "When I started it was, pat you on the head, "Have a go." Now they are as good as the rest. 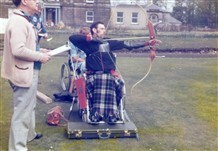 And within archery as a sport there are a number of county champions who are disabled archers"